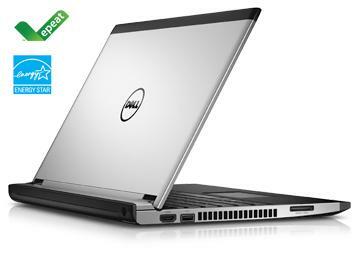 An affordable laptop, ideal for education and small business, with an aluminum design and powerful processors for standout performance. Teach, learn or work with the Latitude™ 3330 for a level of performance and a lightweight mobility that’s hard to find in this class. Available with Windows 8 Pro* or Windows 7 Professional enables you to optimize your Latitude for your environment. Aluminum backing on the 13" LCD screen adds durability for the classroom and a professional look for the business world. Its lightweight design (3.4 lb/1.5 kg with a 4-cell battery) enables easy portability between classrooms or wherever business takes you. Lead a classroom or present to your peers with technologies that are designed to help you get the most out of every minute of your day. Collaborate around a 13" antiglare screen that’s compact enough to fit on most desktops. Bring interactive teaching to your classroom with a built-in HD 720p webcam. Boot up quickly with hybrid and solid-state hard drive options that deliver dependable performance and fast return from sleep mode. Swap batteries for long periods of productivity away from an outlet. Keep extra batteries for easy swaps on the move. 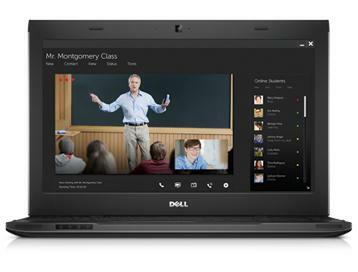 Latitude 3330 is a powerful yet affordable laptop that’s ideal for all levels of education from K-12 to college classrooms. It has a thin, lightweight design, but with significant processing power and many of the management and protection features that make the Latitude a leading business laptop. 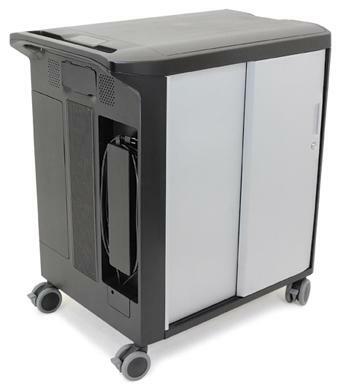 Easily integrate the Latitude 3330 into your classroom with a Dell™ Mobile Cart. Facilitate teaching and testing with a 13" display that easily accommodates many classroom applications. Maximize performance with Independent Software Vendor (ISV) certifications for popular classroom products, including those from CrossTec Corporation, Pearson Education/Assessment, Knob and Texas Instruments. Integrate your Latitude 3330 into a Dell Mobile Cart solution (offering available in select countries) for a complete presentation and education tool. With a Dell Mobile Cart solution, you can securely store, charge and transport your Latitude laptops while maintaining connectivity with your wireless network. External outlets enable simple connection to other classroom peripherals. There are two types of Dell Mobile Computing Carts: managed and unmanaged. Managed carts ship with an Ethernet switch and cabling to allow for remote management of your devices after hours, so IT personnel can perform updates and maintenance as needed for maximum uptime. With your Latitude 3330 comes access to various tools that can unify and simplify management of your organization’s hardware and software. 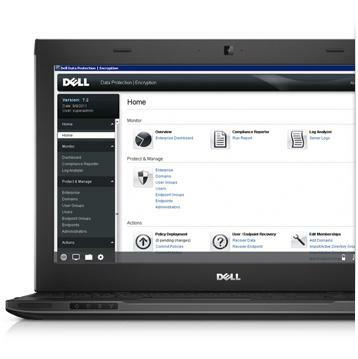 Simplify hardware management with a Dell KACE solution. From inventory tracking and software distribution to automated patch delivery, Dell KACE solutions can help you keep all your laptops, desktops and mobile devices updated. Protect data across your network with Dell Data Protection │Encryption (coming summer 2013). This nondisrupting endpoint encryption solution allows you to quickly and easily deploy encryption across your entire organization and audit and enforce security policies. Empower your faculty or coworkers to use the devices and applications they need to be productive through support for Microsoft System Center 2012 Configuration Manager. This solution unifies physical, virtual and mobile client systems and allows single-pane management of them all. Help maximise the performance of your Latitude 3330 laptop throughout its life with a comprehensive suite of Dell service and support options. Simplify deployments and create a standardized environment through long lifecycles with Dell Configuration and Deployment Services and Dell Imaging Services. Work confidently with optional Dell ProSupport™,* knowing you have an expert engineer available 24x7 online or by phone for unexpected hardware and software issues. Latitude 3330 is designed with the environment in mind. From its power supply to its packaging, you can feel confident that you’re making a responsible laptop investment. Quick-release battery: Simplify battery recycling with easy removal and replacement of your battery when necessary. ENERGY STAR qualified: The Latitude 3330 is qualified to the latest ENERGY STAR® release version. Complete your Latitude 3330 with a protective backpack, a docking station with fast USB 3.0, an HD monitor or a wireless keyboard and mouse. Look for these great products and more at checkout. Slip your laptop into a sporty, protective backpack and travel in comfort. Get brilliant color and sharp images from a dependable Full HD monitor. Dell Services can help reduce IT complexity, lower costs and eliminate inefficiencies by making IT and business solutions work harder for you. The Dell Services team takes a holistic view of your needs and designs solutions for your environment and business objectives.